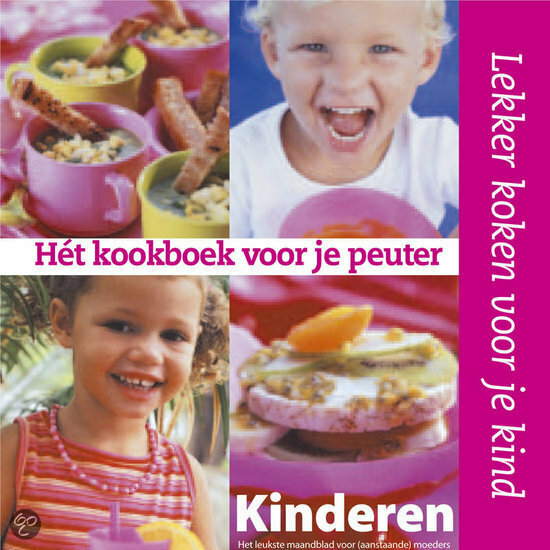 So, I've been going through this little cook book I got from the baby clinic - the book is made by Kinderen - it's a monthly magazine for mothers and expecting mothers - and it's a great little book. That was good - I gave it a 4 star **** - easy to make and everyone enjoyed it. 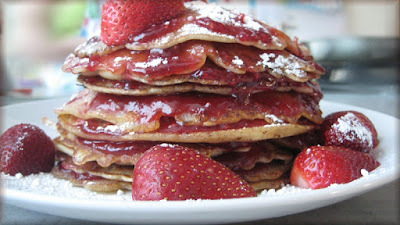 Dessert for dinner is good anytime :) I put sliced apples in almost every pancake - which is why it leans so much. It was very filling - and very yummy. 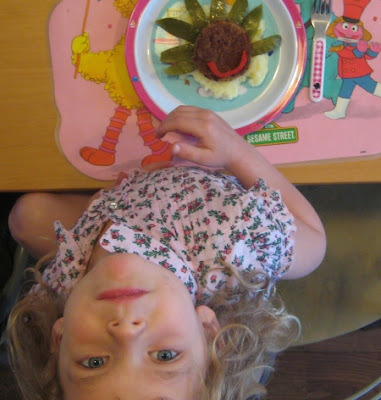 Good 4 stars **** - another easy meal, presented in such a way that the kids got excited... Kailea, my 5 year old, is normally very picky about green food - she ate it up :) We served it with simple gravy. 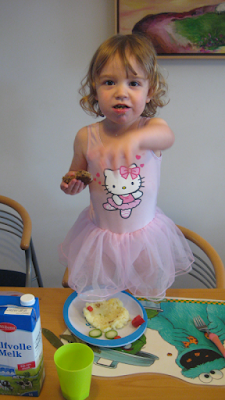 Ella - liked the patty, but tossed the sugar snaps aside - oh well, can't please everyone - but I try. 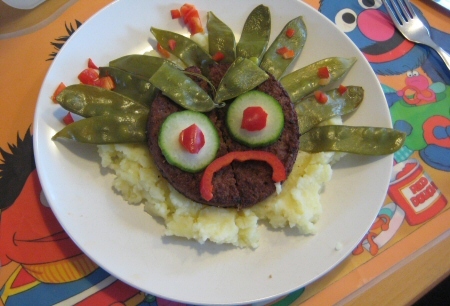 Dad's angry man... even big kids play with their food! There is also a nice vla-flip recipe - but I discovered with that one as well that some people don't like this or that... but I loved it. And there are some nice soup recipes in it that I'm eager to try very soon. Overall it's a great little book and I'm happy to own it. The last thing I made and absolutely love is the banana loempias -which I don't have a photo of sadly... but they are so good... I'll blog about them next time and share the recipe... it's one of the rare - 5 star recipes - yes 5 stars ***** that I've come across this year. It has made it's way into our regular rotation - it's in the family favorites book... so... next time I'll share it... at least, my adaptation of it! How fun is this!!! 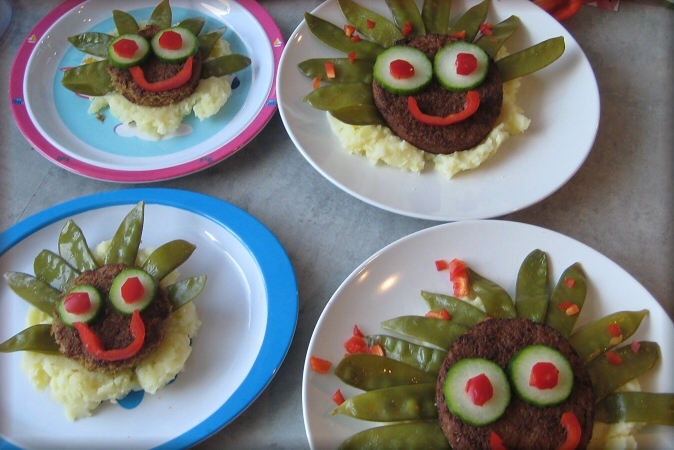 those meals look super yummie :) I hope you were able to enjoy the beautiful weather we had yesterday!! We grilled out and thought about our friends and family back home celebrating Memorial Day..it's hard being away sometimes.. 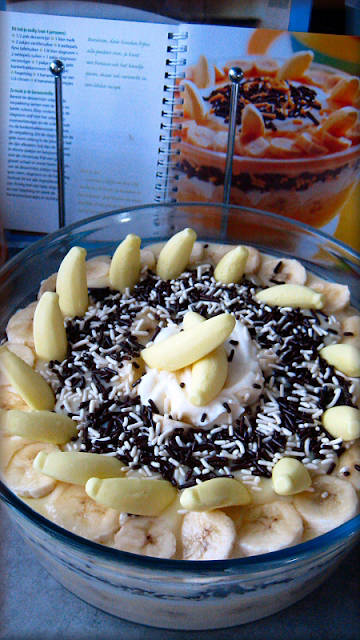 These all look delicious -- especially the banana trifle!